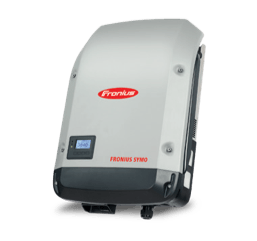 Fronius Inverter – is it a winning choice? When you choose an inverter, you’re choosing the ‘heart’ of your solar system. 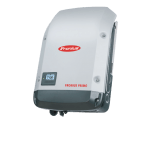 This article covers the Fronius inverter and what sets it apart from other top inverters on the market. 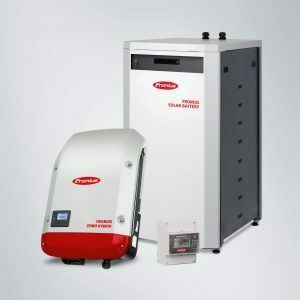 Company history & warranty reliability – Too often a poor choice of inverter can cost hundreds of dollars (or thousands!). This is simply because the inverter manufacturer doesn’t honour the warranty when things go wrong. For whatever reason, this happens much more than you might think. So it’s clearly very important to choose a company with a solid history. The Fronius has an exceptional reputation. Efficiency & Performance – It’s not something people think about much. But inverter performance can add (or subtract) from your overall savings. Especially in cases where a relatively large failure to perform goes unnoticed. It can be hard to gauge how efficient an inverter is. Fronius solar inverters have a max efficiency of 97.8%*. Plus an MPP adaption efficiency of >99.9%! 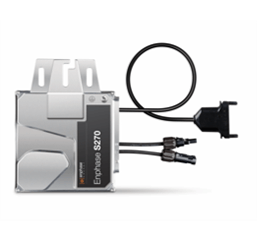 Dual-tracker (MPPT) – You may or may not “need” a Multi Power Point Tracking (MPPT) inverter. But it’s usually a good idea! 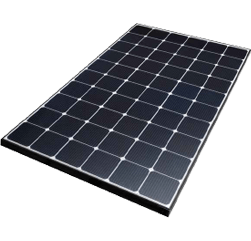 The MPPT allows you to have some panels facing one direction and other panels facing another direction, without compromising the system performance. Ensure you choose a Fronius inverter with 2 MPPTs. 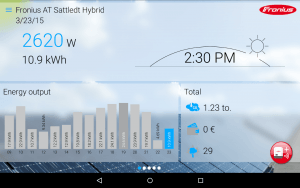 System monitoring – The ability to monitor your solar system online is important. Until recently this has been something of a luxury. But monitoring ensures you get more out of your system. The Fronius inverter comes with Wireless monitoring as standard. Battery-compatibility – This is definitely something to think about. Most inverters cost up to $2,000 these days. So you want to make sure you get many years out of yours! That includes when you’re ready (if not now) to put batteries into the mix. 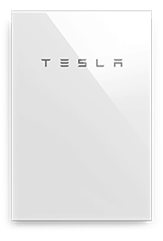 The Fronius inverter can be easily coupled to a battery system (such as a Tesla Powerwall). Great warranties – We already talked about company reliability. Warranty is what it’s all about. In the event that you need to make a claim, you want to make sure the process is smooth. And you want to know the company will be around to honour your warranty! The Fronius inverter can be purchased with as much as 20 years warranty! Fronius started as an Austrlian company primarily in the welding industry. While their welding business is still strong, solar inverters are now a large part of their business. Their energy branch started back in 1995, making them one of the pioneers in household solar inverter technology. 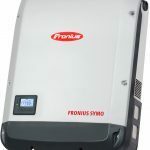 Since then, the Fronius inverter has evolved in leaps and strides. Today Fronius have a huge range to suit every application. From household to industrial scale! Fronius inverters are capable of becoming a full energy management system rather than “just” an inverter. This is how a Fronius inverter works in a hybrid solar setup. Many more inverters available dependent upon application & requirement. The Fronius energy monitoring system is simple and informative. 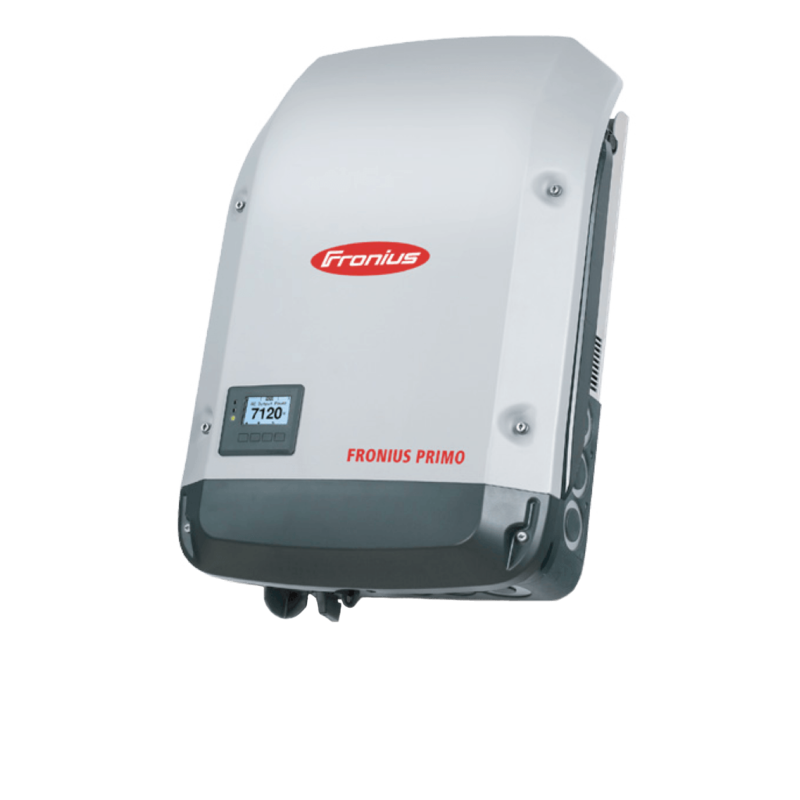 The Fronius inverter offers everything you could want from an inverter. That is a reliable, high-performing, battery-compatible system with easy monitoring! And if you’re afraid of the price tag, think about the price you pay to get a cheap inverter. This can easily add up. 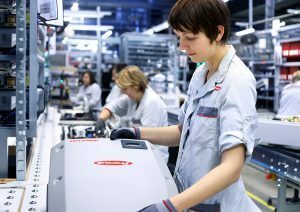 Choosing a Fronius inverter in the first place puts you in an excellent position. Avoid disappointment. 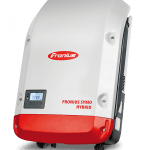 Ask us for a free quote on a Fronius solar system today.